Last updated: 14 April 2019. Click About This Website for update list. 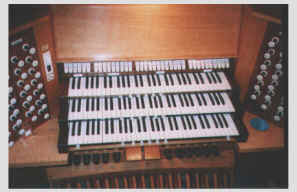 The hub of this site is the Complete Articles page which gives you instant access to many detailed articles dealing with numerous technical aspects of both pipe and electronic organs. Use the Google search box below to quickly identify areas of interest. While browsing, why not also listen to over 4½ hours of music played on the three manual organ below and the Prog Organ virtual pipe organ here? Digital organs and virtual pipe organs can be disappointing in many ways, but some of the problems can be addressed through the use of audio equalisation (EQ) techniques. For example, the loudspeakers used are often ill-suited to the sounds being radiated in that the original voicing and regulation of an instrument will have been undertaken using entirely different ones. This is particularly true of virtual pipe organs because the same, arbitrary, audio system of fixed characteristics is expected to produce optimum results with any number of sample sets originating from any number of suppliers. This can lead to problems including thin or boomy bass reproduction or excessive brightness in the treble register. Or an organist with age-related hearing loss might find the instrument unsatisfactory towards the top end of the compass, particularly with the higher-pitched stops. Or the use of external effects processors such as reverberation units can introduce spectrum distortions which are immediately identifiable as artificial. Audio equalisation can address all of these and similar problems. Thus a range of equalisation techniques is discussed, including the use of passive or active tone controls and graphic equalisers. All are easy to apply to an existing instrument, and they can be remarkably cost-effective in relation to the benefits which result. 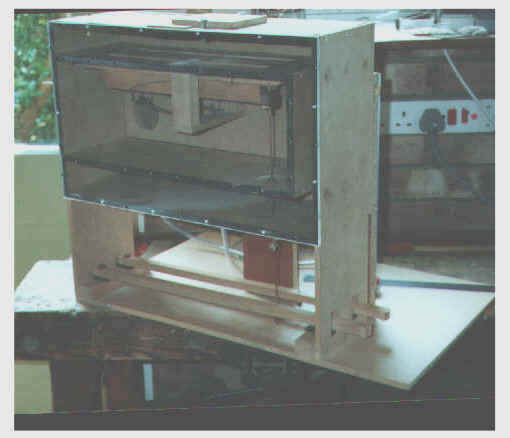 The picture above is of a test rig used for experiments on pipe organ valves, such as those described in the articles entitled Calculating Pallet Size, Touch Relief in Mechanical Actions and Response Speed of Electric Actions. These can also be accessed from the Complete Articles page where summaries are also available. Pictured above is an experimental digital organ which simulates many different pipe organs (Prog Organ). Also see the article entitled Re-creating Vanished Organs. This electronic organ is a dual purpose instrument containing both "straight" and "theatre" voices, designed and made by the author. It is tuned to the author's Dorset Temperament with the addition of some impure octaves as described in Keyboard Temperaments with Impure Octaves. A full specification can be downloaded here (PDF file, 717 kB). "Just like a town hall organ"
"If I didn't know better, I would say this was an Edwardian instrument with its choir organ spoiled by turning it into a baroque-type positive forty years later - much like many British pipe organs in other words. I love it"
"The finest electronic organ I have ever played, simply because it has a genuine warm Romantic sound rather than spit and chiff just for the sake of it"
"pretty impressive - but lacking the proper starting and ending transients"
"You draw a stop and it sounds just like you expect it to"
"Very nice Colin. I'm so jealous"
"I'm an engineer and I know how you do it, but not how you do it so well"
"Amazing how the great diapason chorus can stand on the Claribel alone"
"Would you take a picture? I'm writing an article for an organ magazine and I want to be seen at this splendid console"
These recordings span some years and they were made in various rooms and auditoria. The older tracks were made using analogue equipment and some were recorded acoustically using microphones, hence the occasional noises due to piston thuds and page turns, etc. Other tracks were captured electrically. All are of real players performing in real time - no synthetic MIDI 'performances' here. I have not got round yet to normalising the volume settings of all the tracks so they are compatible with each other, therefore you might wish to adjust the volume between tracks depending on which ones you select. Do not be alarmed if some tracks appear to start with an excessive noise level - this simply means they were recorded at a higher level than others. Just turn the volume down to suit. In any case, it is a wise precaution to always begin playing each track at a low level to protect your audio equipment and your ears from unexpectedly high signal levels when the music begins. Although the instrument has 13 ranks of theatre organ voices in addition to its 'straight' sounds (see specification), copyright considerations preclude the inclusion of much theatre-style music here. Playing time 1 hour 35 mins approx. Website copyright © C E Pykett 1999-2019. 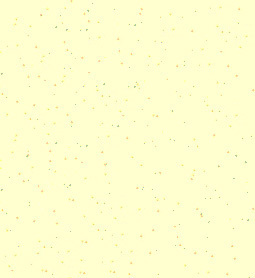 See About this Website.